I get it Mondays can just be the worst. I hope you all enjoyed your 4th. Celebrating it with the ones you love. 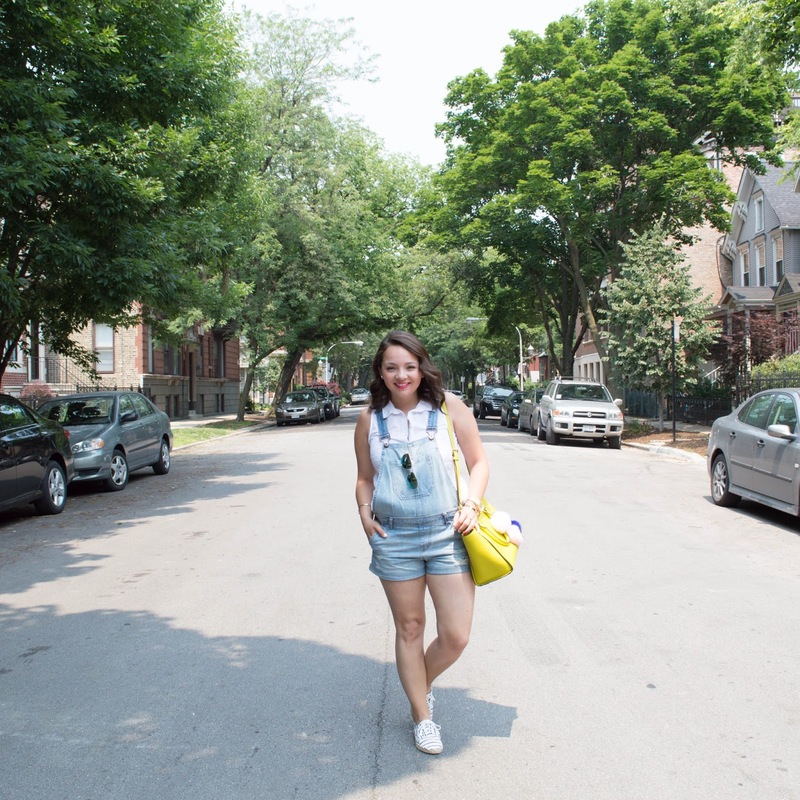 So tell me how do you style your overalls? Ohhh Jessica you look so lovely! I am loving those overalls! You look so darling! Thanks so much I really didn't think I would like the look of the overalls but they have got me hooked! 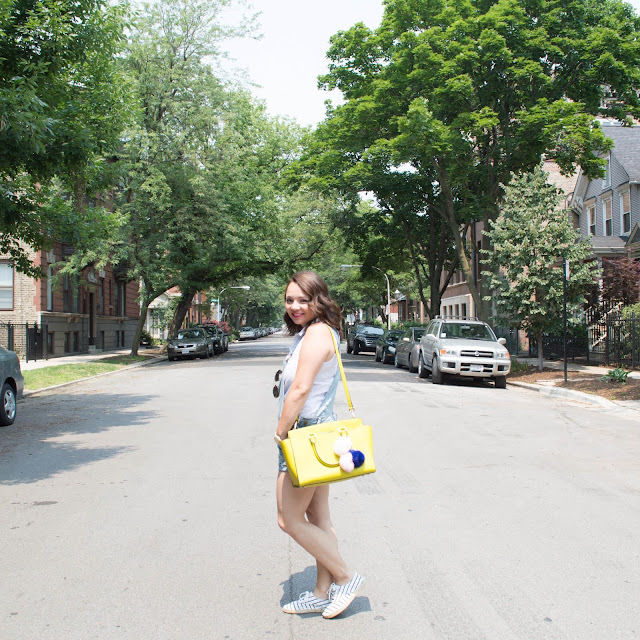 This is such a cute look and I'm obsessed with the pop of yellow! 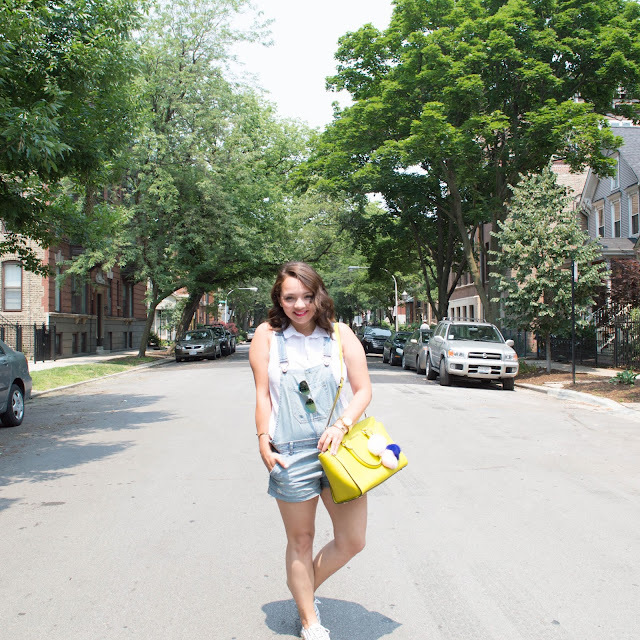 Love that overalls are making a comeback too! Happy Monday! Thanks so much I wasn't too sure about the bag, but I'm glad i snagged it! Hope you ahve a great week! Cute look! 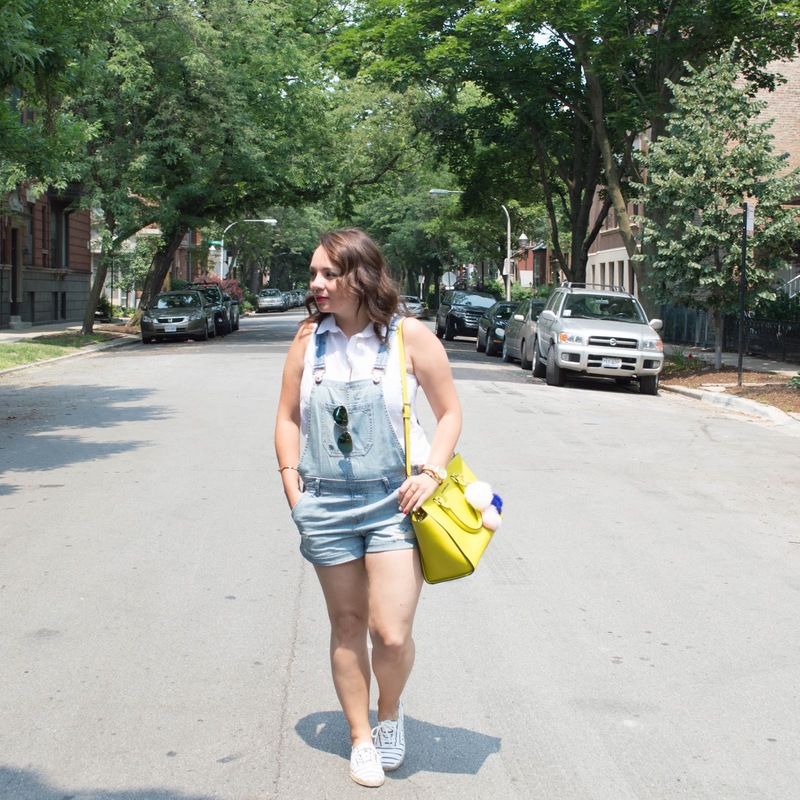 I can't believe overalls are back! I used to love them! I was shocked but now I am hooked!! Thanks lady. Thanks so much hope you stop back for my other two looks! These overalls are so cute on you! Thanks I feel like I could be a farmer in these overalls! so so cute! I've been dying for a pair of cute overalls like these! Thanks They seriously are amazing! I love them! I'm going to have to check your blog out! Thanks sweets hope you check back for the other two looks! That yellow bag is a great way to go! I love how you styled this overall. I haven't owned one since I was a little girl, and I remember how much I loved them! 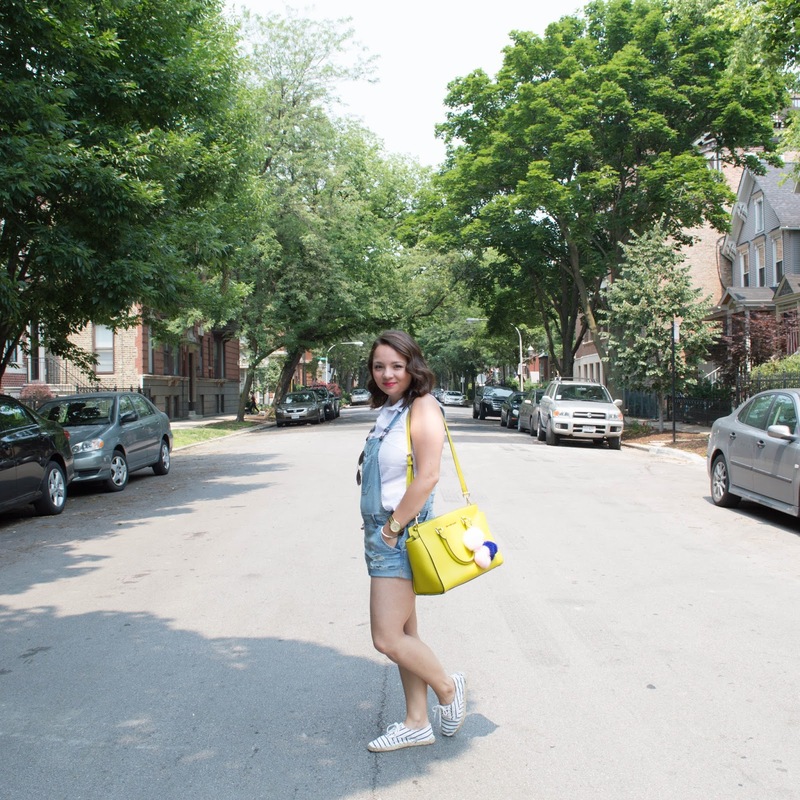 I love those little overall shorts with the bright yellow bag! So cute. Thanks so much I love the bag too it was an impulse buy but I'm glad I snagged it. So adorable! I love those sneakers and that bag too! Can't wait to see your other looks! You look super cute! Thanks lady! Hope you check back! I haven't worn overalls in so long! But I do love denim so maybe I'll have to give them a try again. I'm loving your bag with the pom poms too! Thanks I forgot about the little addition of the pom pom! I wasn't sure of them but now I love them! nice look with the overalls! Thanks so much :) Hope you check back to see the other looks!